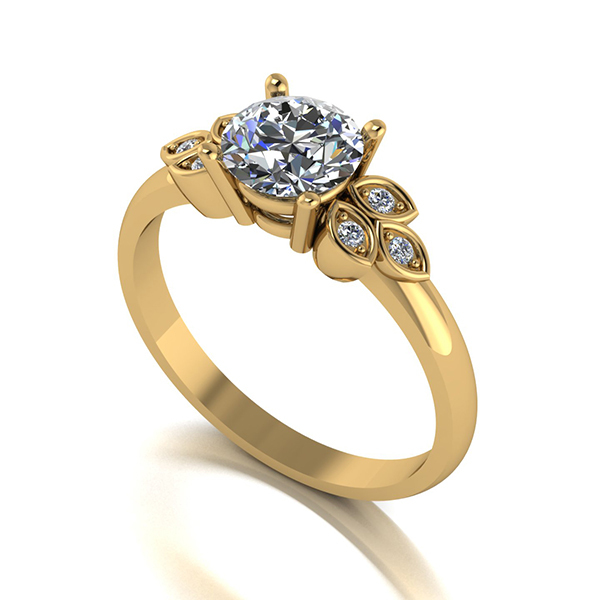 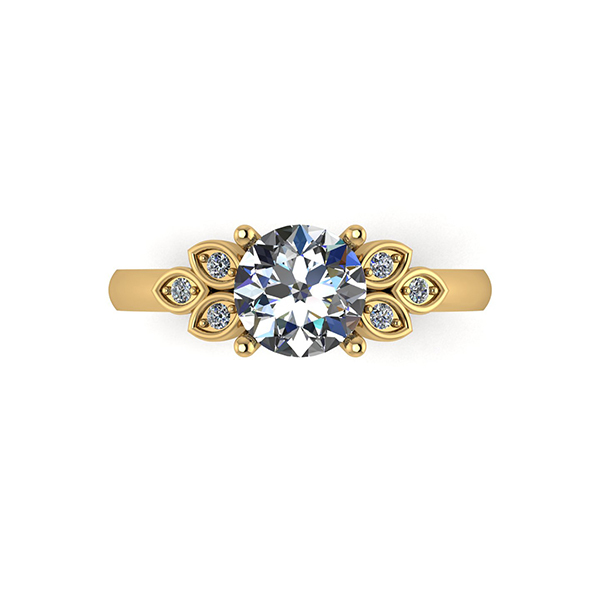 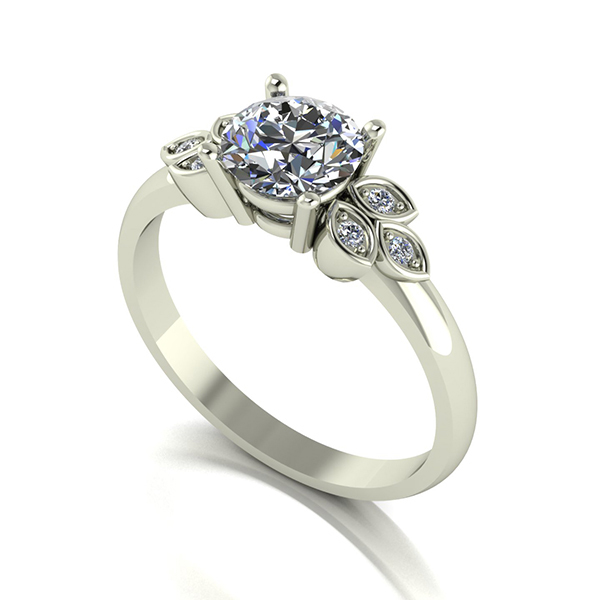 Put the sparkle back into your life with Moissanite 9ct Gold 1.07ct eq Solitaire with Leaf Detail Ring. 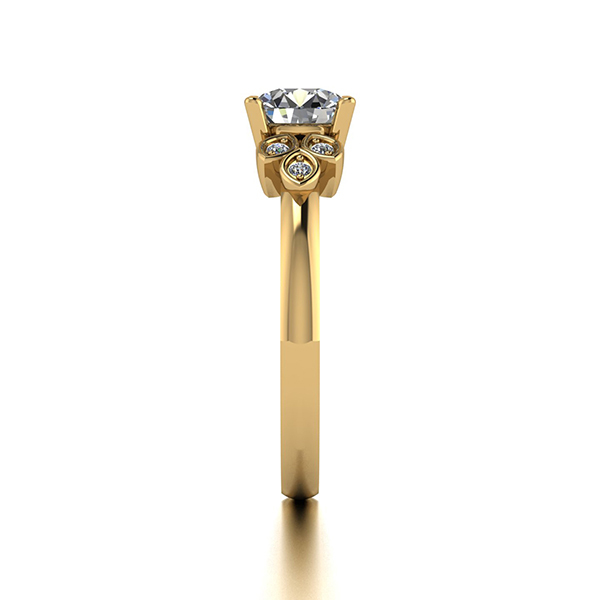 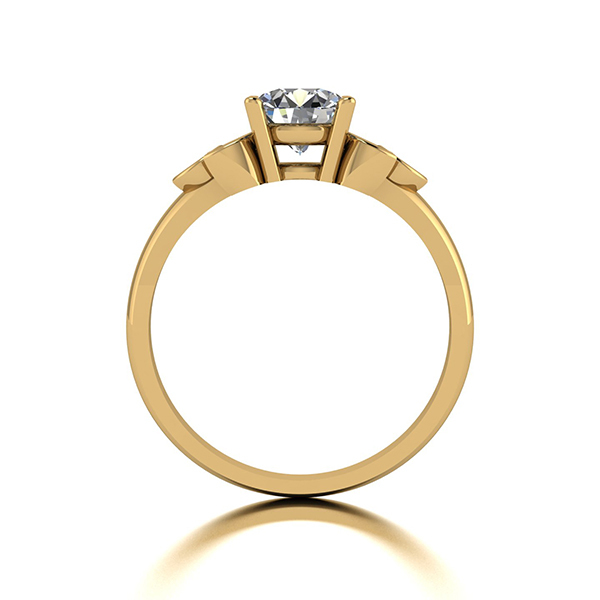 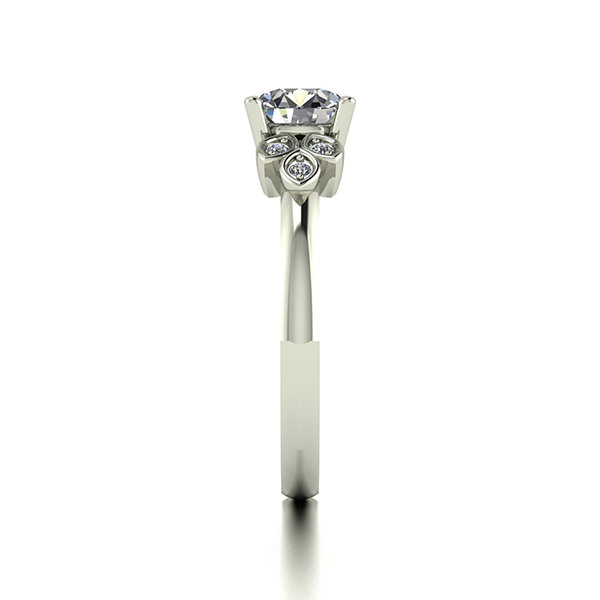 This piece has been set in 9ct white gold and yellow gold which has been rhodium plated. 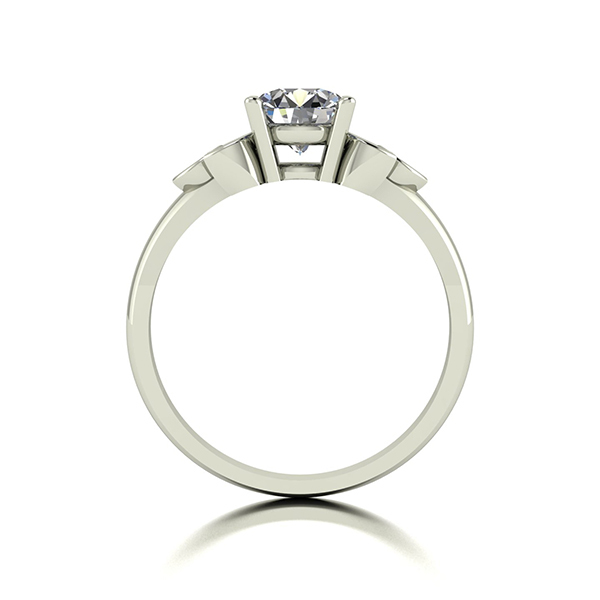 Comes beautifully boxed with a booklet and certificate of authenticity.Almost as hard as Diamonds on the Mohs scale, Moissanite 9.25 - 9.5 Diamonds 10.0.This product was crafted in Birmingham's jewellery Quarter and has polished finish. 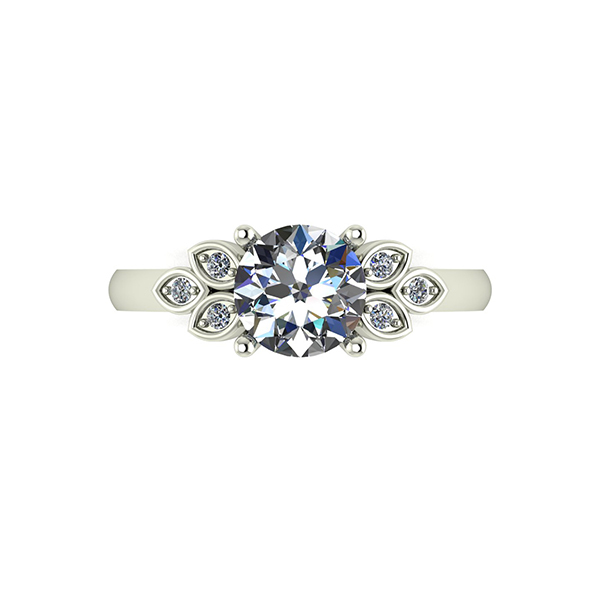 It has been claw set to allow the maximum amount of light in behind the stone for an intense and glittering sparkle.